Each time we’ve published this research, readers have asked how model, metrics, compensation, tech stack, etc. 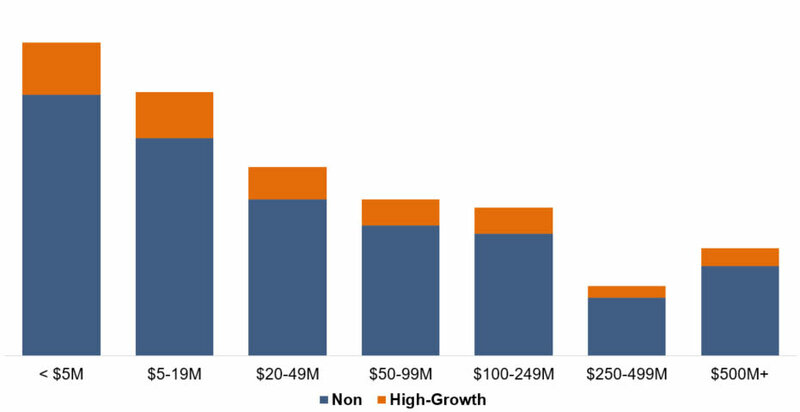 differ between high-growth companies and the rest of the pack. But what exactly makes a company “high-growth”? If Company A did $2M in 2017 and projects $6M in 2018, that additional $4M represents 200% growth. Compare that to Company B who will do $290M in 2018 up from $200M in 2017, that’s “only” 45% growth—but an additional $90M in revenue. Clearly, raw growth percentage doesn’t tell the whole story. We decided to take an approach that separates that fastest growing companies by revenue band. Using revenues and growth rate, we marked the top quintile (top 20%) per band as “high-growth.” Throughout the report we called out comparisons between “high-growth” and non companies. The report provides a comprehensive look at the data, trends, and metrics driving sales development in 2018. We couldn't do these types of research without this community. So thank you. Get your copy of our 2018 SDR Metrics & Compensation Report. And let us know if you have any comments, questions, or improvements for the next round.